The IFAK pouch comes empty, but can be used for a myriad of items. Not only can you use it for first aid supplies, but you can also use it for carrying other gear you need to have easily accessible. This pouch easily attaches to your Molle kit or Backpack. 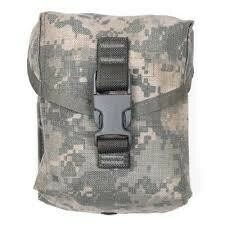 This pouch can attach to a FLC load bearing vest or to the side of packs or anything that has Molle webbing.